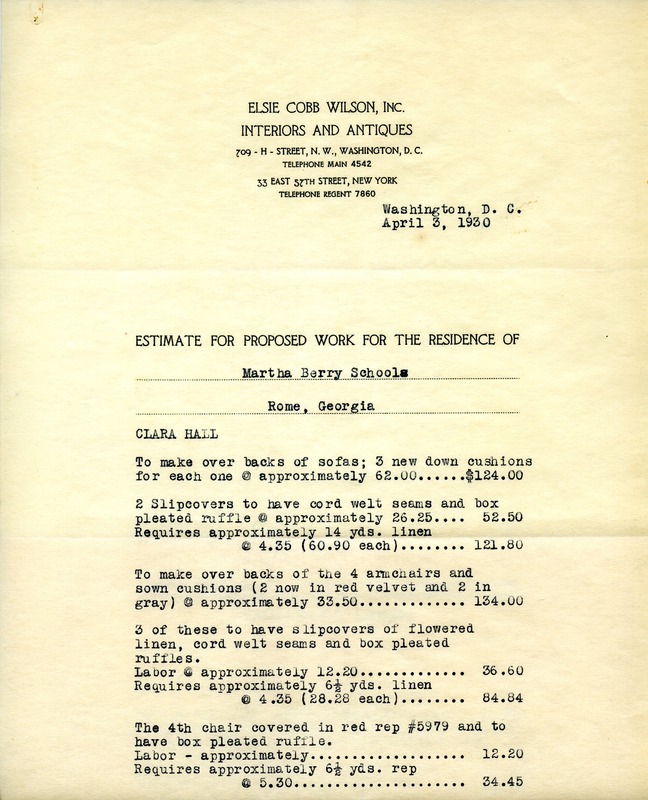 Estimate of proposed work on Clara Hall by Elsie Cobb Wilson, Inc. Interiors and Antiques, prepared by Margaret Earnshaw. 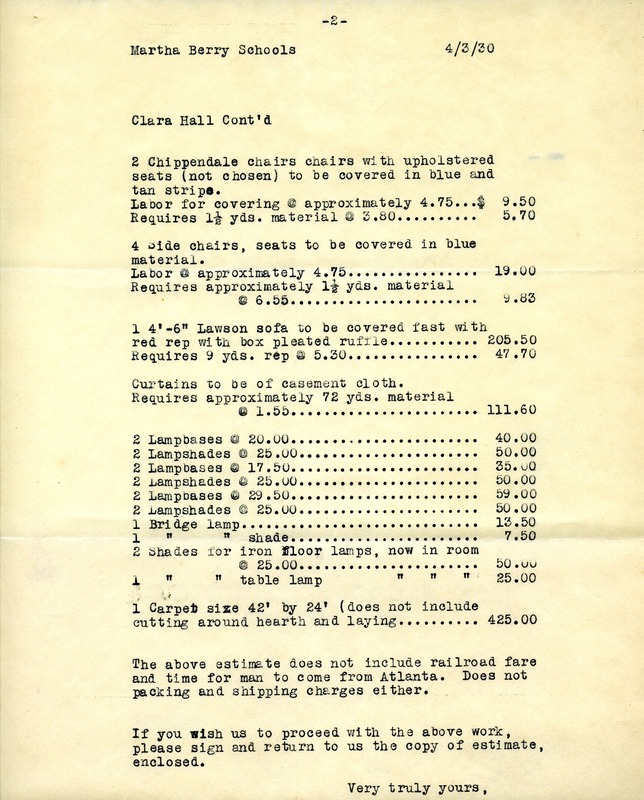 Margaret Earnshaw, “Work Estimate for Clara Hall.” Martha Berry Digital Archive. Eds. Schlitz, Stephanie A., Chelsea Risley, et al. Mount Berry: Berry College, 2013. accessed April 24, 2019, https://mbda.berry.edu/items/show/12423.